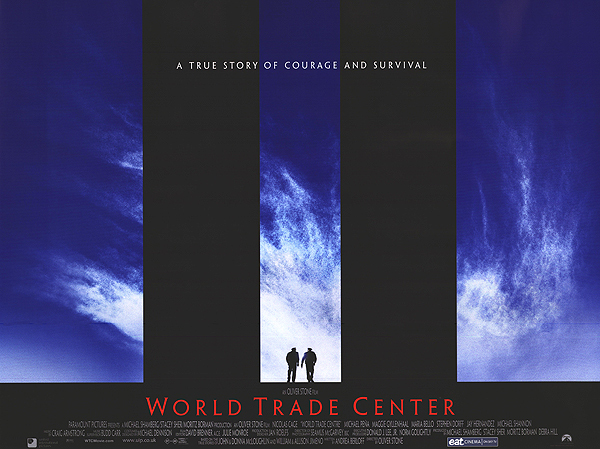 Brief Synopsis – The story of 9/11 is told from the perspectives of men trapped in the rubble and their families awaiting news of their fate. My Take on it – I have always been a big fan of Oliver Stone’s films and I especially love all of his controversial ones because they give us so much to think about and ponder hours, days and even weeks after seeing the film. This movie feels like he has come down to Earth and as good as is it, it still feels missing something big coming from a Director like him. I loved how this movie shows true courage and perseverance of ordinary people when faced with situations that they don’t know how to deal with properly. The way that the story jumps around from the different characters makes it feel like a jigsaw puzzle that one can only see the true picture towards the end. This is actually a very good thing because it adds so many layers to the impact of this movie. This movie does a wonderful job of showing the chaos and unfathomable destruction of that fateful day in September 2001 and the fact that we get to see perspectives from victims, their families, rescue workers and even ordinary people who showed up to help only adds to the impact of this film. 9/11 is not a fairy tale in any way, shape or form, but this movie shows so much goodness among the evil perpetrated that day. Bottom Line – Shows the true courage and perseverance of people in dire circumstances. Reiterates how much chaos and misinformation was afloat during the events of 9/11. One of Stone’s most down-to-Earth movies that loses some of its impact due to its uncontroversial slant that he does so well. Recommended! Great review, Rob. I’ve had the pleasure of watching this movie only once, but I guess that’s what it requires to really understand the impact of 9/11 tragedy. Tnx Dan. Truth is im not much of a fan of Cage, but I liked him in this one too. Tnx 4 stopping by and commenting! No problemo I’ll definitely keep tuning in. Fine take on it. I have actually been meaning to revisit this. Tnx Keith! Looking forward to reading your thoughts on it!